To do this we will look at the records held already and the statistics about Manitoulin Island..
Manitoulin Island is the “Largest freshwater island in the world." Lake Manitou on Manitoulin Island in Lake Huron is the “Largest freshwater lake on an island in a freshwater lake in the world. Manitoulin Island is widely referred to as the Heart of the Great Lakes. Manitoulin Island is the largest island in the freshwater Great Lakes. The Great Lakes form the largest group of freshwater lakes in the world by surface. The Great Lakes hold 20% of the world’s freshwater. 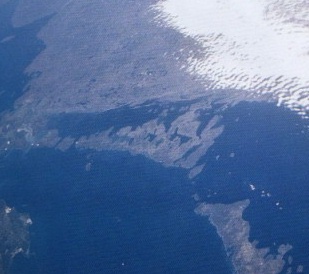 Manitoulin Island in Lake Huron is the largest island in any inland body of water in the world. Manitoulin Island itself has 108 freshwater lakes. Canada has 7 of the 13 largest lakes in the World. Canada also has more lake area than any other country in the world. Canada’s side of Lake Huron is the largest lake area in Canada and Manitoulin Island is right in the middle of it. Our lakes are among some of the world’s largest. 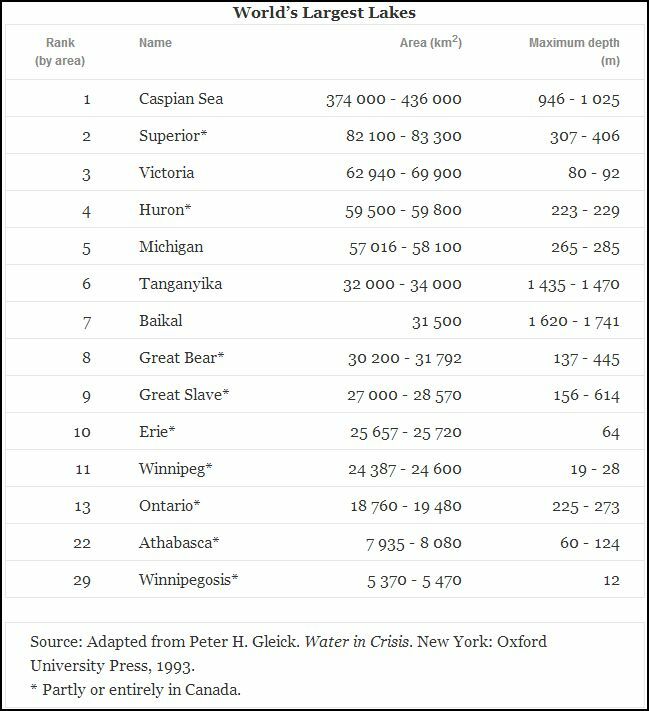 The following table provides a sense of Canada’s ranking among the largest of lakes in the world. Canada has more lake area than any other country in the world, with 563 lakes larger than 100 square kilometres. The Great Lakes, straddling the Canada-U.S. boundary, contain 18% of the world’s fresh lake water. The country’s largest lakes are depicted in the table below. He had the winning speech in his Grade 7 class. Placed 2nd at the Little Current Legion competition. Additional info: Images added in by Manitoulin Streams staff. Ladies & gentlemen, fellow students and honourable judges, I would like to tell you about something that I feel I was very fortunate to be involved in, in this lifetime, no I was not helping to build schools in Costa Rica or part of a humanitarian mission in a third world country, I was actually involved in a rehabilitation project that will influence the lives of our families and generations for years to come on Manitoulin Island. What I would like to tell you about is the restoration of Norton’s Creek. Many of you are thinking, where in the world is Norton’s Creek. Norton’s Creek is located north of Manitowaning on the Bidwell Road in the township of Sheguiandah. Norton’s Creek is one of the few spring water creeks to flow into Lake Manitou. Now you are probably wondering how a 12 year old boy from Manitowaning became involved in this project. In 2007 my Uncle Bob purchased the land surrounding Norton’s Creek with the intention to use it as hunting property. He quickly became curious about the creek and the surrounding habitat. It is estimated that many of the major streams on Manitoulin have lost 70% of their productivity over the last 100 years due to the impact of poor land use practices. Norton’s creek is one of them. Prior to 2007 the creek was a cattle crossing and watering hole, the cattle would defecate in the wate r and as they crossed the creek they would stir up the sediment, covering up the fish eggs. When the fish eggs became covered they would no longer receive oxygen and would die. The cattle also destroyed all of the surrounding vegetation, this included the trees and grass that made food and shelter for the fish and invertebrates. When the cattle walked through the water they broke down the banks, this caused the creek to widen and the water to become shallow and flow slower, making it warmer and harder for the fish to swim up the creek. The stream was unable to support the fish and invertebrates that called the stream home. Once Uncle Bob became aware of the negative impact that these conditions had on the stream, he quickly teamed up with Manitoulin Streams to begin what is known as the rehabilitation of Norton’s Creek. This restoration involved many volunteers and organizations including the Lake Manitou Landowners Association, the Ontario Stewardship Program, Manitoulin Streams, Ontario Hunters and Anglers Association, and family friends as well as me, my brother, my parents and grandparents. The first project was to build fencing with a 70 foot buffer between the stream and the fence to keep the cattle and their by products away from the stream. This protected area will allow grasses, trees and shrubs to regrow. This vegetation will provide shade to the stream to help keep the water cool, as well as food and protection for the birds and animals that live in the area surrounding the creek. The second step was the placement of rocks along the bank of the river so that over time sediment would collect on the rocks and rebuild the river bank. Tree stumps and logs were placed in the water to create shade and habitat for invertebrates and fish. We created weeping weirs in the water. You do this by putting rocks on both sides of the creek in a V formation, leaving a small opening for water to flow more quickly in the middle of the stream, while creating a pool of water at the edges to allow the fish to rest while they are travelling upstream to spawn. Many volunteers arrived to plant a variety of trees along the river bank; we were successful in planting 2000 trees in the area. The next step was to wait for the arrival of 5000 eyed brook trout eggs from Lake Nipigon. Volunteers gathered in Uncle Bobs shed to transfer each egg individually with an eye dropper or turkey baster into incubation boxes. Five of the incubation boxes were placed in different areas of the creek. Now we have to wait until spring to see if this part of the project was successful. If it is successful, when the baby brook trout swim out of the incubation boxes they will have imprinted Norton’s Creek into their brains, and in a few years they will return to spawn in exactly the same place where they were “born”. This will make the natural cycle complete. So how will these efforts benefit us in the long run? The restoration of the creek will improve the health of people by supplying cleaner, colder water to Lake Manitou, support and protect wild stock and wildlife on Manitoulin Island, and provide a great place for anglers and tourists to visit. This experience has given me the opportunity to learn the importance of our natural habitat and community volunteerism. I am proud to say I was a part of this Manitoulin Streams project, from the beginning, and hopefully until the end, which will be a few years from now when the first adult brook trout return to lay their eggs in Norton’s Creek.